Because the Internet is based on IP addresses, not domain names, every web server requires a Domain Name System (DNS) server to translate domain names into IP addresses. Beginners Guide on Domain Name Registration One of the most crucial requirements for establishing an online identity is registering a domain name. Domain names are considered very vital for any website, as it is the web address that others will use to track your website. People who would want to visit your website will type in this address in the address bar of their web browsers. Most people who seek to build a great online presence tend to overlook the process of selecting a domain, which is rather not a right strategy to follow. A domain must always be selected only after a careful review and consideration. Selection of Domain Names Most people tend to overlook the process of selecting an appropriate name, as they just focus on the way their websites are designed and hosted. 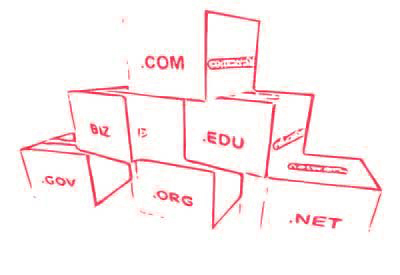 There are some basic set of principles that one must follow while picking any domain name. The user first needs to define the aim of having a website. If he plans to build a website for a recreational purpose, he can get away with any name, but if the website is meant for a business purpose the name should only be selected after a cautious evaluation. Already own a Domain???? ADD HOSTING, E-MAIL & MORE!!! Address: India: AJ 14,Sector 2,Salt Lake City, Kolkata 700091, West Bengal. India.